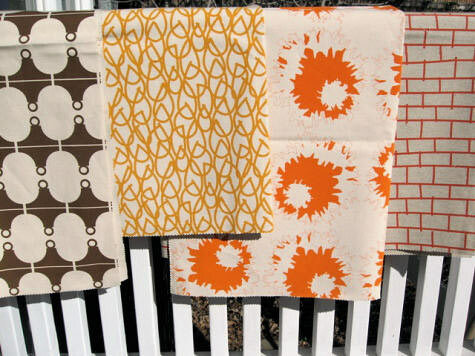 bonnee sharp is the talented designer behind this beautiful collection of textiles from studiobon. based in dallas, bonnee created her collection of “etchy florals, graphic geometrics, and delicate symmetries” to fit equally well in modern and traditional homes. hand-printed from her studio on the banks of the trinity riverbed, bonnee’s designs come in a wide range of over 29 patterns in numerous colorways. custom runs are available as well, but you can check out bonnee’s full range and contact her for purchasing information right here. also, stay tuned for a sneak peek of bonnee’s beautiful home in the next week or two! Oooh, I love those textiles! I’m keen to see Bonnee’s own home. Geez, these are gorgeous! I’m especially in love with the first one – the linked ovals. Ooo, and the last one, with the thistle-y dots! How does one go about having a headboard like that made (the green one in third set of photos)? In NYC, if anyone has any ideas. Thanks! Wow! 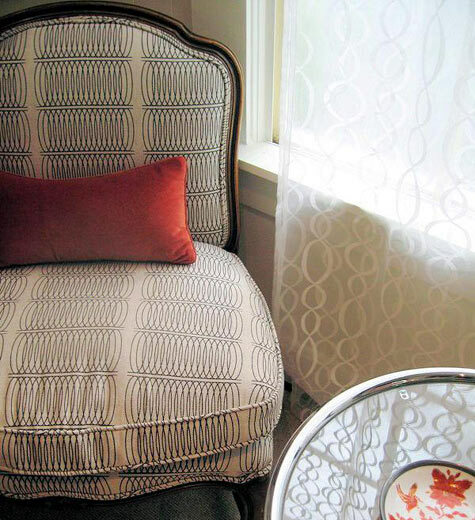 I love the slinky looking one on the french chair! I want it for my wing chairs in dire need of restoration. Where to buy?? 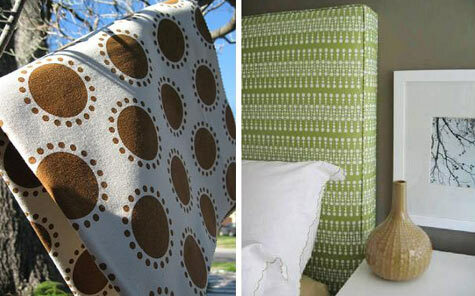 The chair in the bellows fabric(1st photo) is great and i agree with Eh – I also need a headboard like that! oh! i just love these! esp. fuzz and bellows. LOVE the fabric in the first pic!!! Love the designs. Fantastic work. 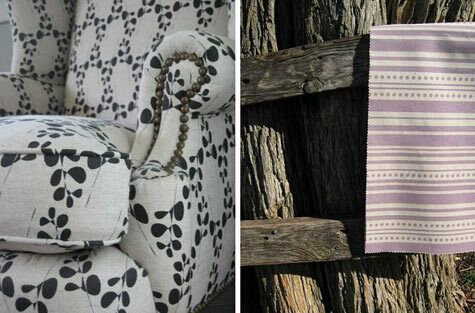 Wonderful textiles — what a great find! Way to go Bonnee. 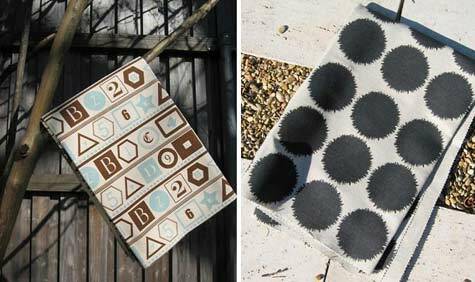 Your textiles show up well and how nice to have them appear on Design Sponge. in such good company. Look forward to seeing your house. absolutely gorgeous! I’m in love with all of them. So fresh and different from what’s out there all over the place. Can’t wait to see more! Absolutely beautiful, Bonnee! Your designs are almost as lovely as you are! Can’t wait for your home to be showcased it’s such a treat! yes, i love the lines and curves and the simplicity of the first pic.